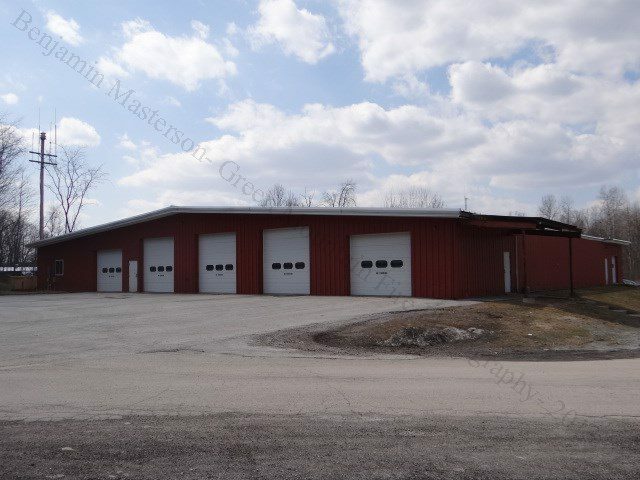 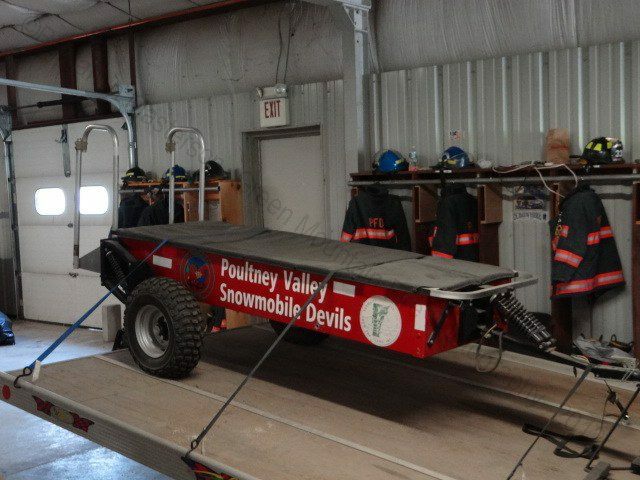 The Poultney Fire Department is a volunteer agency, providing fire protection for the town of Poultney. 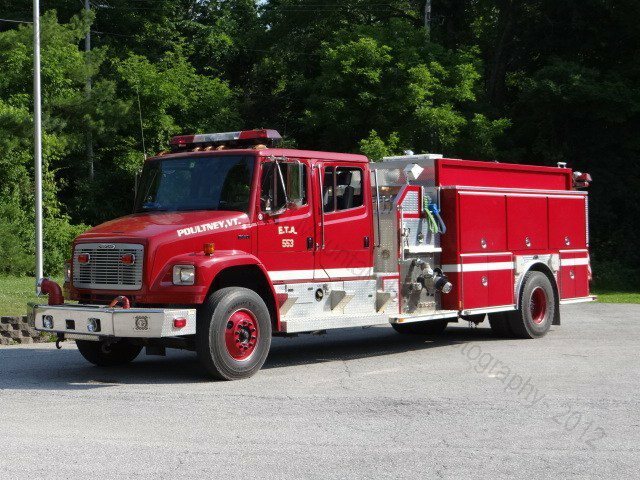 Members respond from one station with one Engine, one ETA's (Engine-Tanker), a Rescue Truck, a Utility/Brush truck and the Rutland County Support Unit. 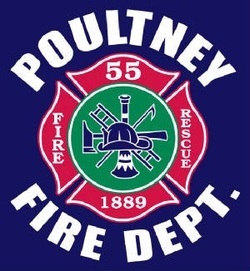 Poultney Fire Department was established in 1889 (Photo to the left used with permission from Poultney Fire Department). 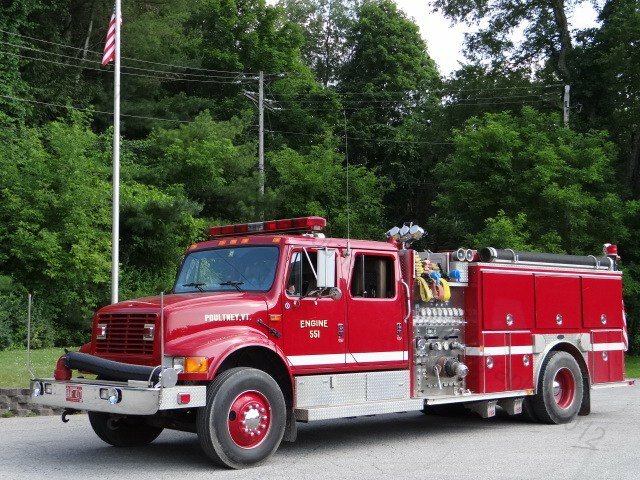 Poultney Fire Station. 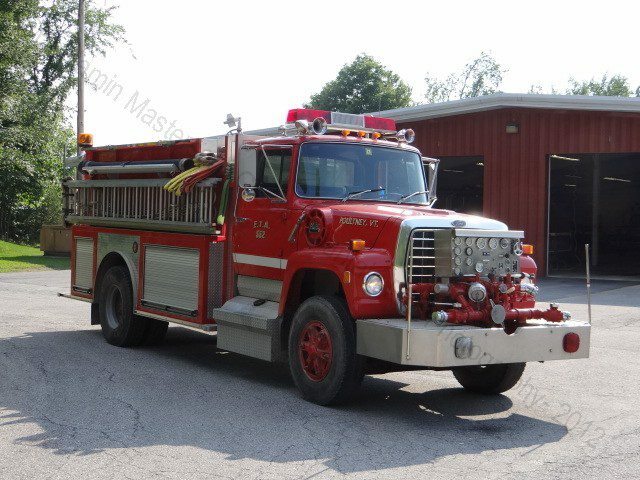 Beaman street. 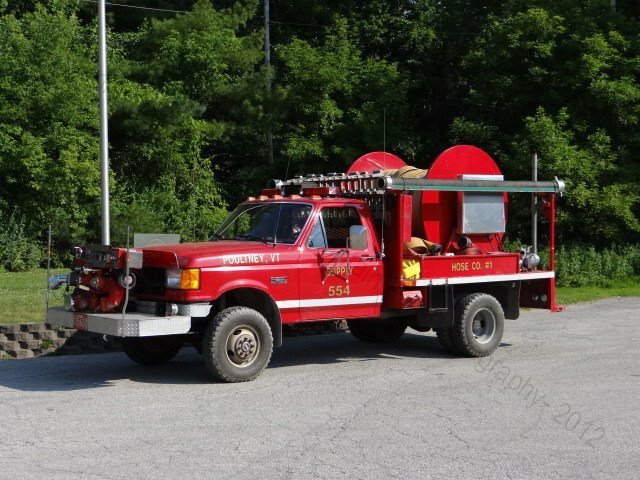 Utility 557/County Support 2- 1987 Chevrolet/Frontline. 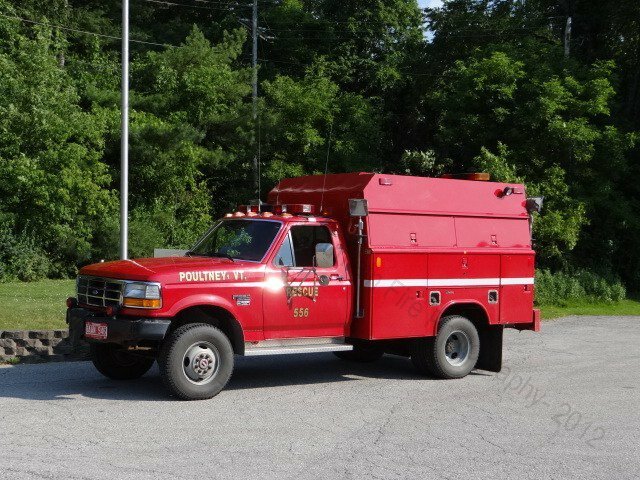 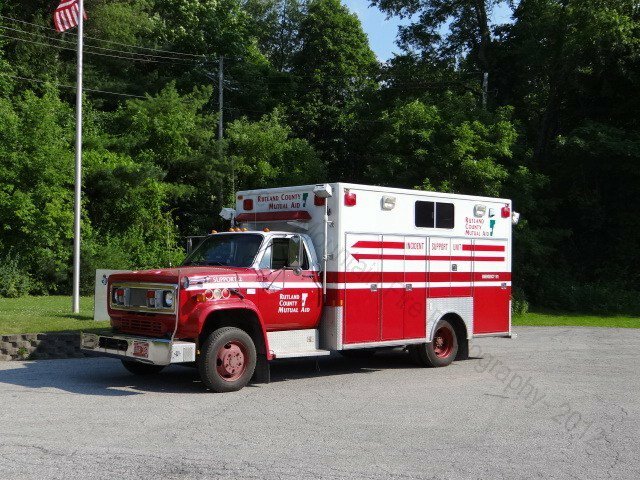 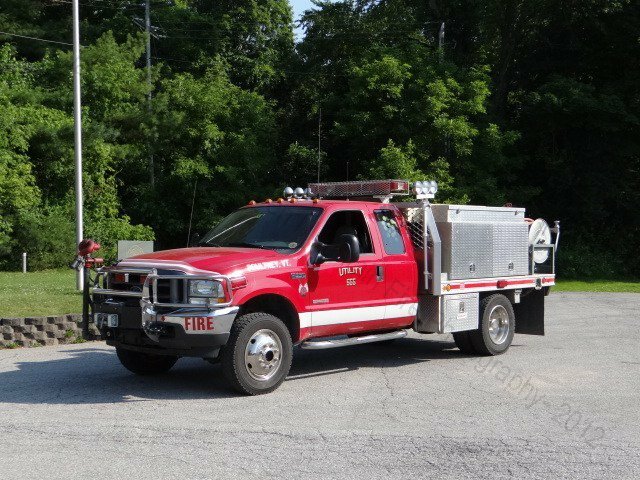 This unit is assigned to the Poultney Fire House, but is owned by the countyand is assigned to any call it is needed at throughout Rutland County VT. 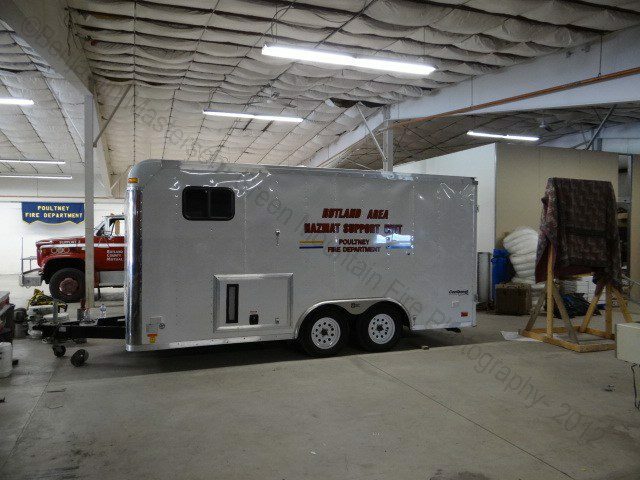 It is used for rehab and has an onboard cascade unit.